Just thinking about my Marathons makes me TIRED..
1- Rock N Roll Seattle June 2009 REPORT HERE- I had BIG plans and started with race with the Boston qualifying pacer group. By mile 11 my bladder took over, I lost it and was in survival mode after that. 2- Eugene Marathon May 2010 REPORT HERE- My training was spot on, I started this race strong and confident. I was in the ZONE from start to finish and qualified for BOSTON with a time of 3:37!! 3- (FREE) Green River Marathon June 2010 REPORT HERE- Still a bit out of it after my BQ race this was a FREE Marathon I ran to stay in shape and to be a Marathon Maniac. I ran half with my friend Jon but got TIRED mid way and had to walk a lot and it was HOT! 4- Rock N Roll Seattle June 2010 REPORT HERE- I felt HORRIBLE when the race started, very out of it and super light headed. Thankfully I had Marlene to keep me moving. Together we made this my FAVORITE Marathon to date. Running with a friend vs. running for time is much more FUN! 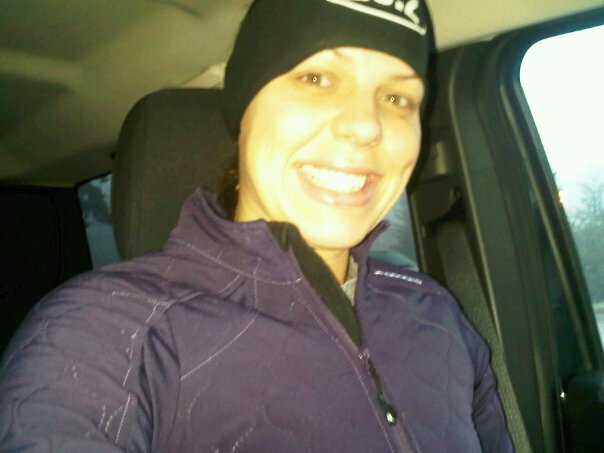 Saturday morning I met Heidi on the trail for a 10 miler, it was COLD 31' and there was ice on the trail. BRRRRR!! We set out for 10 miles but mid way Heidi felt good so we decided to go for 12...BUT I did not bring water or nutrition...OOPS!! This time of year I can do 10 miles without water/food...but 12 is a different story.. But I made it work, with the help of Heidi, we had great conversation the entire run, gotta love my running buddies..
AND GUESS WHAT?? Sam the Bald Eagle did an amazing flyover and landed above our heads! It was MAJESTIC... I have missed Sam, I was convinced he left me to watch over Zoe.. There were some slushy spots on the bridges, I was careful not to fall. 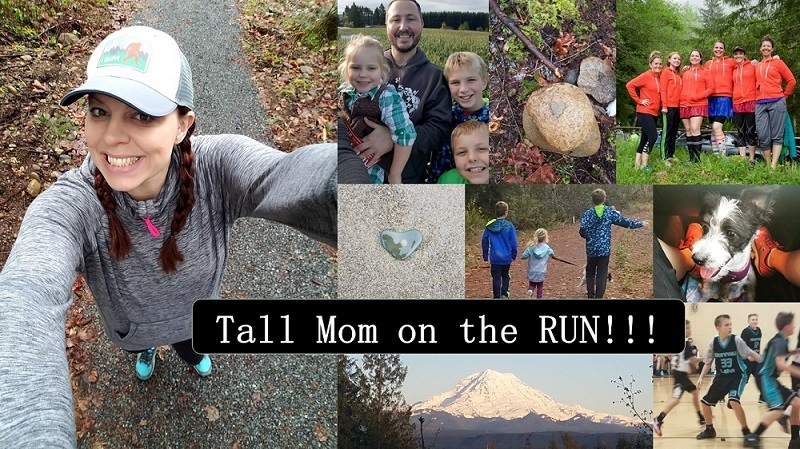 The saying is true the Bigger they are the harder they fall ;) There were very few runners on the trail, one guy was pushing his little girl in a stroller, she was NOT HAPPY!! Been there buddy. Overall my energy was high and I feel confident going into Marathon #5.... but before then I have..
Go to a show, a few casinos, the expo, check into our hotel, shop, take pictures, win millions, carbo load, get gear ready for the morning, tram all around town, and try to stay off our feet. Get up early, tram to the start.. and RUN 26.2 miles!!! We will walk off our 26.2 around Vegas, then I am on the red eye Monday morning and go straight to work to start my event.. Hmmmm??? I AM TIRED JUST THINKING ABOUT IT!! What do you have coming up that you are Tired just thinking about? What show are you guys seeing? We've got tickets to go to Jubilee Sunday evening. My husband and I saw it when we were in Vegas in '08, but the friends that are coming with us haven't seen it. It's definitely worth seeing twice! I am tired thinking about all the work I have to do tomorrow, and next week in general. Science sleeps for no one! Yup - I am tired and I only read about it - you lived and ran it!!!! Have soooooo much fun in Vegas - you will not regret this - life time memories will be made this weekend. I am so excited for you and Amanda! Yes! I am tired just thinking about it too!!! But the millions we will win will make it all worth it!!! You're so cute!! It'll be a whirlwind but you'll get it done and have a great time!!! Good luck! Vegas is awesome! Have a great time! Maybe I will run into you ladies in Vegas! :o) It's going to be great! Wow! Just WOW! You are dedicated! You're going to have a blast! Enjoy the experience and have a great week! Big hug to you buddy! I know that you will be great at the marathon, embrace the "fun-ness" of it. And I know you'll be fine afterwards - remember the PMH? (Post Marathon HIGH) Besides, going from a marathon to a red eye to an event makes you galactically bada**, and I know you've been dying to join me in the bada** category for a while now... at least a few weeks. Think back to your first Seattle report and realize how much we have ALL learned since then! We have learned to be our own cheerleaders. We have learned that you can't really have "too much cow bell". We have learned there is always time to hit the porta-potty. We have learned that there are friends we have never met who are happy to let us lean on them for support. Now - go have fun in VEGAS!!! (note how it's in all caps?) Love ya babe! Sounds like a busy week! Have fun out there! You girls will have a great time. And congrats to you for all the marathons... I was tired just reading about them! You deserve to be tired - smiles! Sounds like this weekend is going to be a great and special race. Enjoy it!